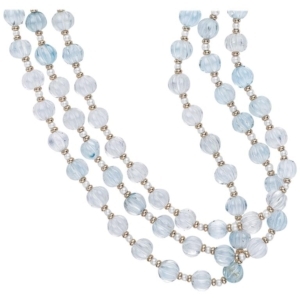 This necklace was recently honored with a 2017 AGTA Spectrum Award! Best Use of Pearls for the third year in a row! 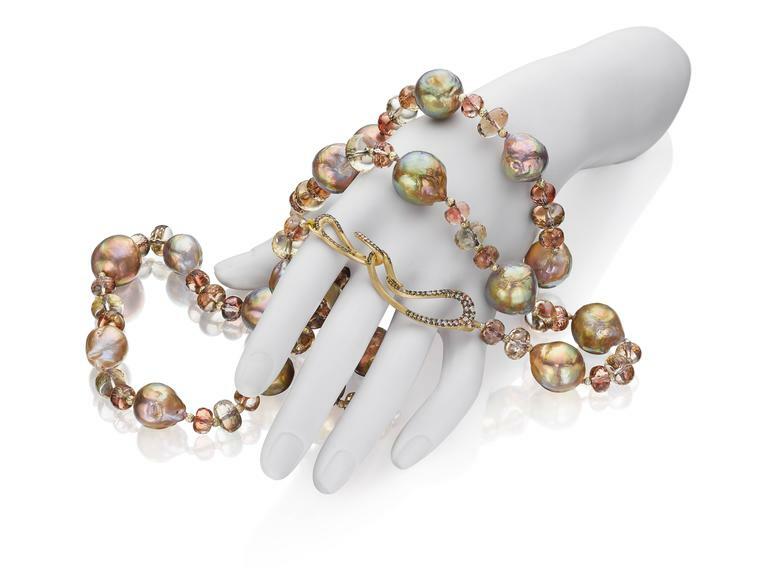 Naomi loves pearls. 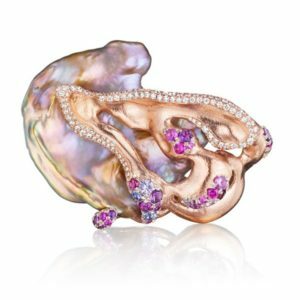 The more iridescent and shimmering the better. 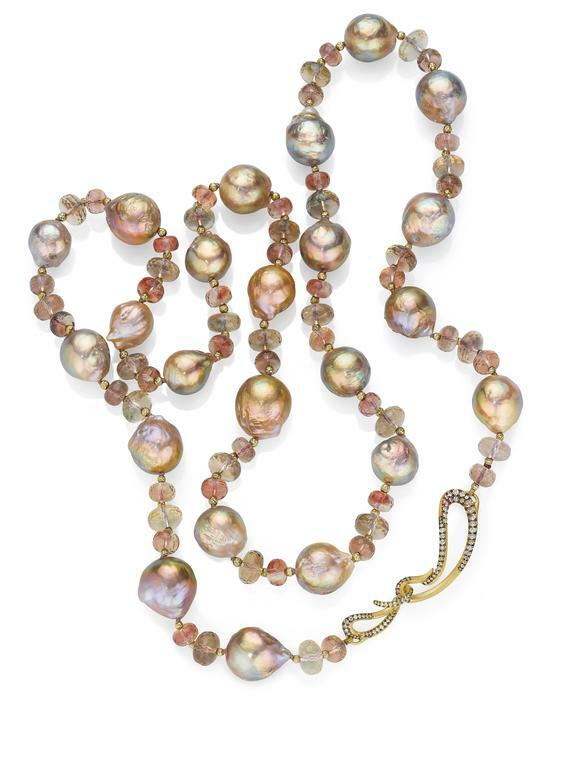 These natural color Chinese freshwater pearls have an incredible kasumigaura type color palette complimented with faceted American sunstone beads with hints of pink, orange, green, and teal, and by 14K yellow gold beads. Our unique 18K yellow gold signature clasp is set with similar colored natural pink, green, and white diamonds. To make things even better, a touch of black rhodium plating accentuate the diamonds’ natural sparkle. 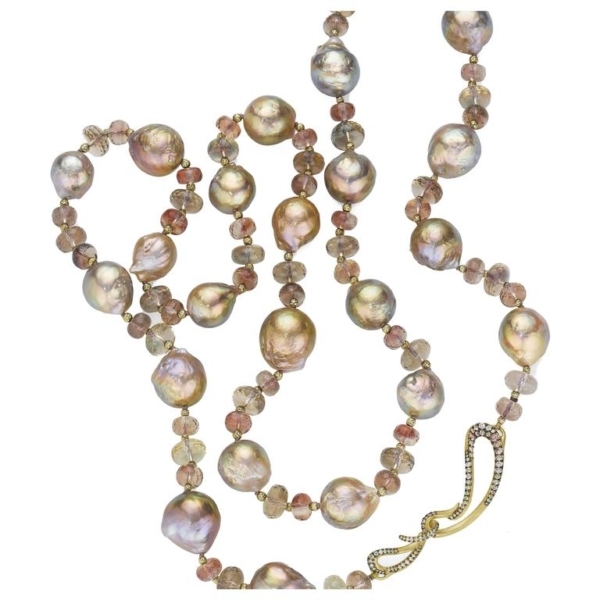 A sumptuous array of natural colored pearl, gemstones, and diamonds can be worn as a single strand or doubled around. 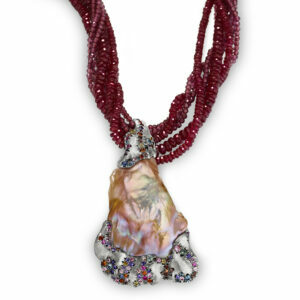 Naomi’s Signature Clasp with natural multicolored diamonds, finished with a touch of black rhodium, completes this on-of-a-kind museum quality art jewel.